Food can create chemical reactions in the brain similar to those experienced from drugs. Scientific research has shown that it takes two days to detox from cocaine but TWO WEEKS to detox from junk food. It's simply not our fault we crave certain foods; we're addicted to how they make us feel. But using training from the world-famous Betty Ford Center in California, Dr Mike Dow will guide you through his pain-free 28-day weight-loss programme. Watch the pounds drop off! In just four weeks, you will have lost weight and be completely free from all your food cravings. 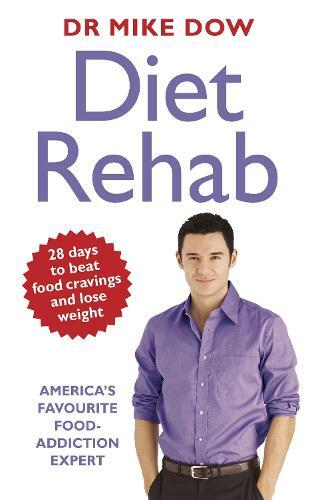 Check into Dr Dow's Diet Rehab and rid yourself of all your food addictions.